First, alignment is the key to implementing an inbound marketing strategy at the enterprise level. 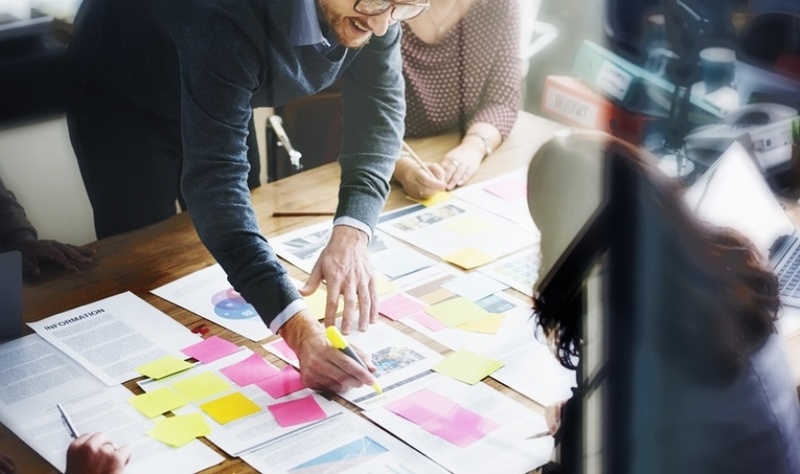 To get the engine running across the organization, you'll need to focus on getting your marketing department aligned with your sales team, your individual employees aligned with your processes, and your platforms aligned with... well, everything. Before you jump into implementing sweeping changes, you've got to ask yourself some unavoidable questions. There's no sense in moving forward without knowing the answers. The beginnings of an Inbound marketing strategy always create an office buzz. In order to develop the strategy effectively, one person or team needs to act as a change agent to push the transformation through. Ask yourself if you are that change agent. Decide whether or not you have the authority, including control of the budget, to encourage transformation, and whether or not you have the calories to run the Inbound marathon. If you think the role would be better placed in the hands of another, choose that other and make it happen. If you determine that you or your internal team do have enough bandwidth to fight for this transformation, remember that the change requires realignment of people and processes, the ability to re-architect a platform or the time to choose a new one, and the sway to gain general organizational buy in. Does your internal team have these capabilities and traits? If your answer is yes, and you know you have an influential, strong change agent in place, you can move on to determining your level of readiness in other areas. For example, it's important to assess where you are organizationally (people and process) before assessing platforms. Do you have the assets you need in order to move forward, like developed personas, a content strategy, online sales enablement tools and sales email templates? Do you have a dedicated lead scoring owner? Is there a current process for lead qualification? Before kicking off your enterprise-wide Inbound effort, you'll need to establish each of these assets, owners and processes. If you've answered yes to every question in this blog post, scored your readiness and are excited to move forward with the full transformation, then congratulations — you're in a better spot than most marketers! If you still have questions about your readiness, though, consider the value of an external perspective. Can you accurately score your own organization's Inbound readiness, or would you see a higher value from the objective observations of a third party? Let's say you opt for those observations and receive your third-party audit results, which indicate you're extremely close to being ready for full-fledged enterprise Inbound. Then our main advice is simple: Be prepared for some growing pains if diving in head first. And to avoid some of the more common pains of change management while you work to determine the best strategy, start by creating proofs of concept for each initiative, using small groups as tests. Roll out is a lot easier if you've got successful examples on your side.